Located on NW 4th and Flanders, this newer building is in the Old Town area close to the Train Station and the Willamette River. Amenities include secured parking, secured entry, in-unit laundry hookups, and large view windows. 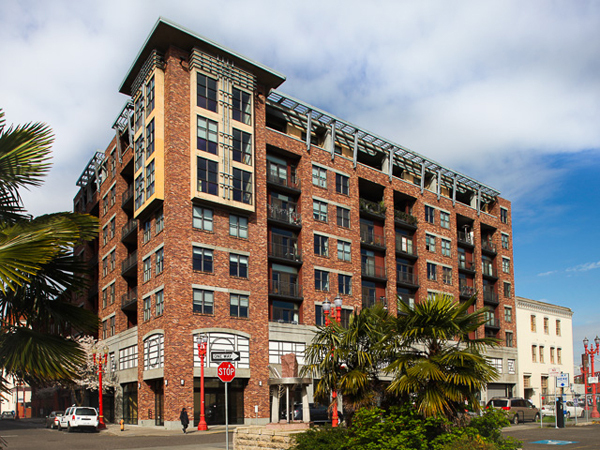 Please contact us directly if you'd like information on condominium properties located in Portland's Pearl District. Life is convenient and easy in this beautifully updated contemporary loft w/industrial styling. Studio unit with well defined spaces & great natural light. Newer kitchen cabinets,counter tops,subway tile back splash,SS appliances,wood floors.Enjoy living in the City just blocks to the Pearl & Waterfront.Quick access to dining,shops,parks, MAX. Private covered patio,secure deeded parking & storage.Furniture negotiable. Modern, contemporary & elegant living in the heart of the Pearl. Floor to ceiling windows, high ceilings, with large spaces & open concept design. Well-appointed with hardwood floors, updated fixtures, ss appliances. Oversized master-suite with walk-in, custom closet, soaking tub & walk-in shower. Two private patios with treetop, bridge, city skyline views. Desirable, vibrant neighborhood with world class art, restaurants & shopping.